and Mayoral candidate, Kevin Spease. 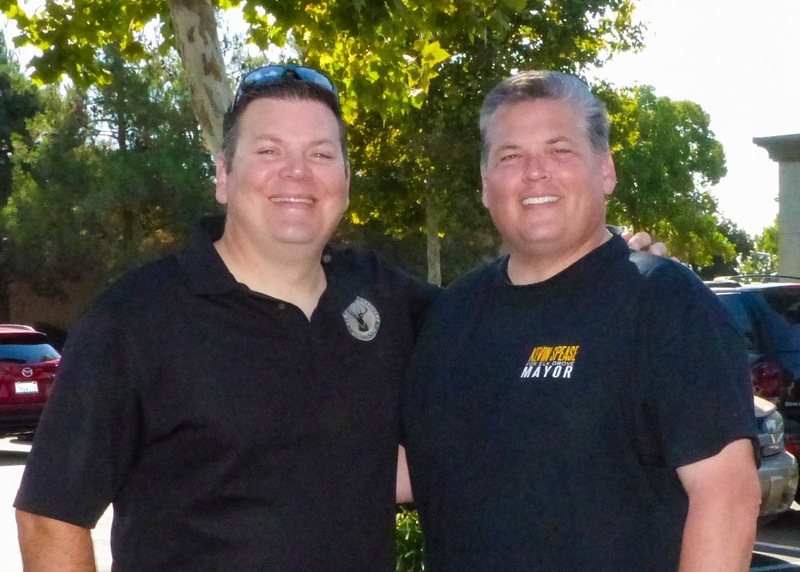 Elk Grove Planning Commissioner and Mayoral candidate Kevin Spease held a campaign kick-off event on Saturday morning. The well-attended event drew supporters and dozens of volunteers who walked precincts immediately following the ceremony. Elk Grove Unified School District Board of Trustees President Bobbie Singh-Allen offered a spirited introduction and endorsement of Spease who is one of seven candidates vying to replace outgoing Mayor Gary Davis. (see video below). 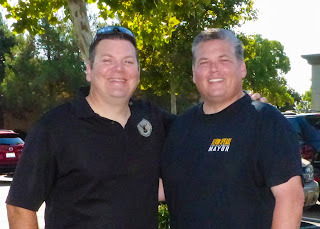 Also in attendance for the event was the Sergeant at Arms for the Elk Grove Police Officers Association, Joaquin Farinha. The EGPOA's seal of approval is the most sought locally-based endorsement for candidates seeking any office in Elk Grove. After the EGPOA issued their endorsement, one of Spease's rivals, Elk Grove Vice Mayor Steve Ly, accused them of a "backroom deal." In response to Ly's comments, his City Council colleagues, Steve Detrick and Darren Suen, who are both appearing on this November's ballot, censured Ly. Below is a recording of Farinha discussing some of the reasons the EGPOA awarded its endorsement to Spease. Above photo compliments Dave Soto Productions.